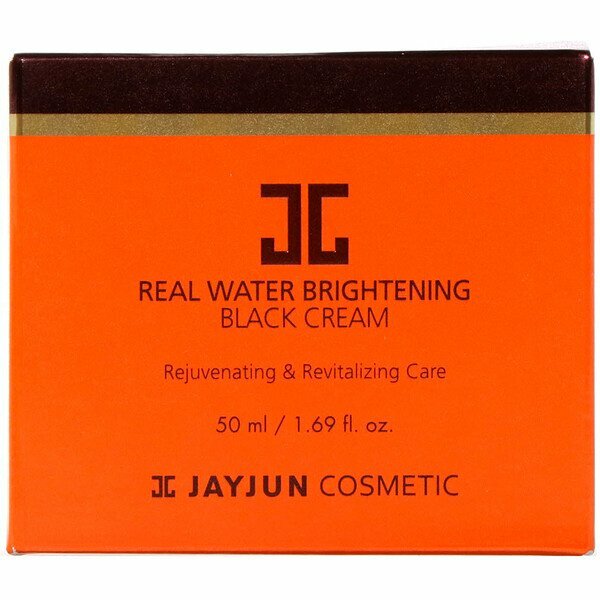 Real Water Brightening Black Cream gives firmer and smoother effect. 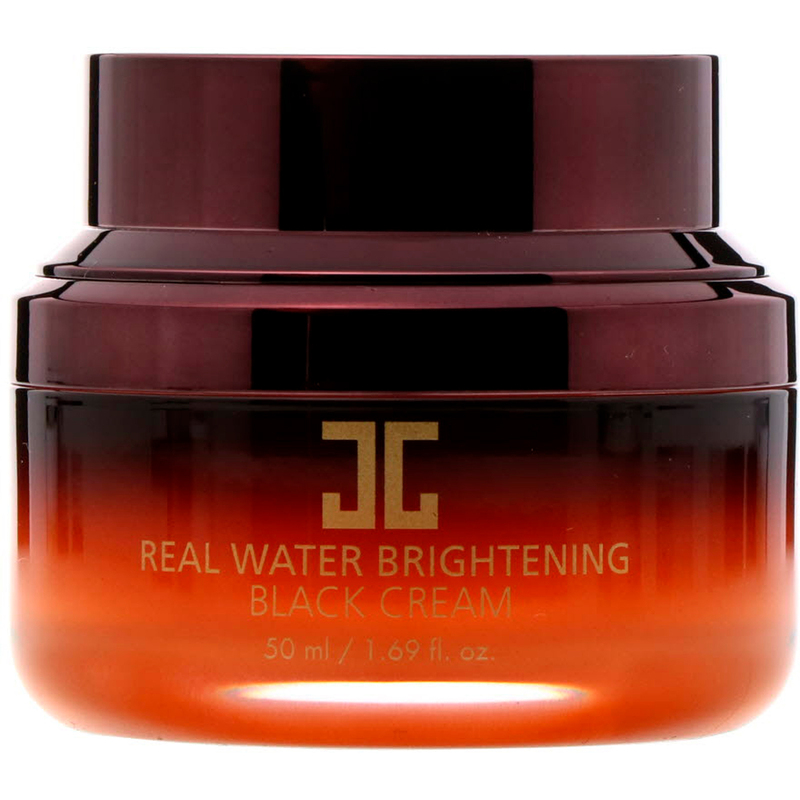 How To Use: Put an appropriate amount, apply it evenly to skin and massage gently. Water, glycerin, pentaerythrityl distearate, cetearyl alcohl, c12-15 alkyl benzoate, ethylhexyl isononanoate, niacinamide, sea water, aloe barbadensis leaf extract, butylene glycol, squalane, ribes nigrum (black currant) fruit extract, rubus fruticosus (blackberry) fruit extract, juglans nigra (black walnut) shell extract, ribes nigrum (black currant) seed oil, hydrolyzed jojoba esters, tocopheryl acetate, adenosine, eclipta prostrata extract, hydrogenated lecithin, melia azadirachta flower extract, melia azadirachta leaf extract, ocimum sanctum leaf extract, octyldodecanol, phospholipids, propanediol, acorus calamus root extract, perilla ocymoides leaf extract, schizandra chinensis fruit extract, sodium hyaluronate crosspolymer, curcuma longa (turmeric) root extract, corallina officinalis extract, ceramide 3, cylcotetrasiloxane, hydrolyzed glycosaminoglycans, sodium hyaluronate, moringa oleifera seed oil, helianthus annuus (sunflower) seed oil unsaponifiables, hydrolyzed hyaluronic acid, acetyl hexapeptide-8, cardiospermum halicacabum flower/leaf/vine extract, helianthus annuus (sunflower) seed oil, dimethicone, 1,2-hexanediol, cetearyl glucoside, sodium methyl stearoyl taurate, cyclopentasiloxane, trideceth-6, polysorbate 60, peg/ppg-18/18 dimethicone, xanthan gum, ethylhexylglycerin, caprylyl glycol, sorbitan isostearate, caprylic/capric triglyceride, diethoxyethyl succinate, hydroxyethyl acrylate/sodium acryloyldimethyl taurate copolymer, sodium polyacrylate, tocopherol, hyaluronic acid, rosmarinus officinalis (rosemary) leaf extract, disodium deta, citrus grandis (grapefruit) seed extract, fragrance. For external use only. Discontinue use if irritation occurs. Keep away from children.